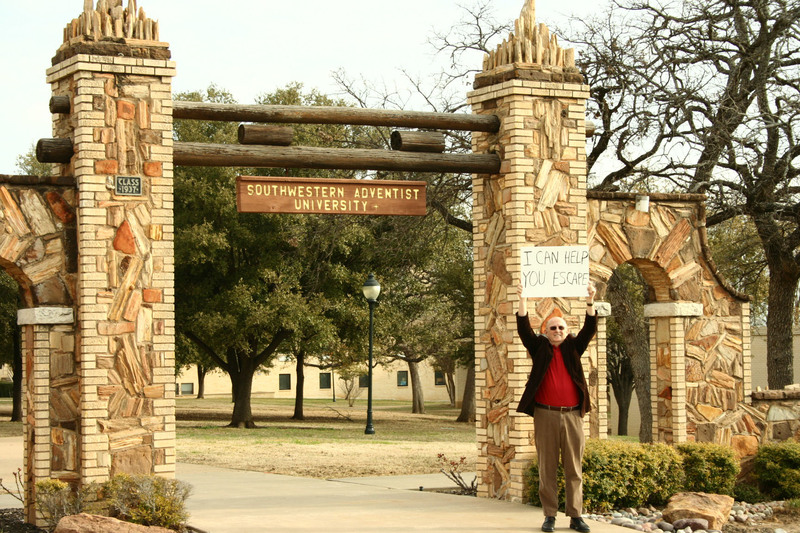 I’m standing beside the Mizpah Gate on the campus of Southwestern Adventist University. Both are, believe it or not, older than I am. Well, I will have to admit that there wasn’t much traffic, so I kept the embarrassment factor down a bit. But let’s see if we can kick this puppy into high gear. Today I want to talk about pricing. If you are going to sell your own books–mostly ebooks–how should you price them? When you go with a traditional publisher, they set the price. But when you do it yourself, there is no one to tell you what a good price is. I have heard lots of theories about this, but here is what I found worked for me. My name is pretty well known in my former market, which was primarily the Seventh-day Adventist Church book market. But out here in the Wild West, I suspect that I am classified with a lot of also-rans. So last year I launched four books. One was a reprint that had done pretty well before but was out of print. Two were books that didn’t really fit into a specific genre. The fourth was a selection of short stories I put together. I knew my first challenge was just getting my name known, so I used the collection of short stories to do that. As much as possible, I offered it for free. I say as much as possible, because Amazon won’t list books for free; the lowest they will go is 99 cents. The other two I listed for 99 cents and the well-known one I listed for $2.99. When things started selling pretty well, I started raising prices. When you realize that with a traditional publisher you usually only get a buck for every $15 book that is sold, you can see how selling a book for $2.99 and getting more than $2 of that is a better way to go. The big difference has to do with volume. How do you increase volume? Twitter. Reviews. Word of mouth. And in the end, advertising. I plan on hitting Facebook with ads pretty soon. Your pricing is directly related to how many you sell. If you’re not selling many, drop your prices. If you are doing well, raise them. But I would be a little nervous about any price over $2.99 for an ebook.